An old man makes a living by selling bamboo. One day, he finds a princess in a bamboo. The princess is only the size of a finger. Her name is Kaguya. When Kaguya grows up, 5 men from prestigious families propose to her. Kaguya asks the men to find memorable marriage gifts for her, but the 5 men are unable to find what Kaguya ants. Then, the Emperor of Japan proposes to her. Based on Japanese folktale "The Tale of the Bamboo Cutter". 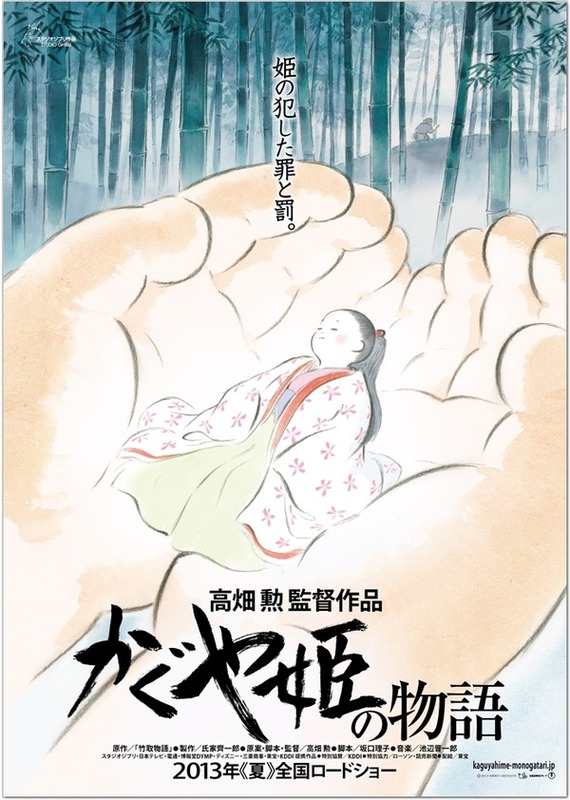 "Kaguya-Hime no Monogatari" will be released on the same day as "The Wind Rises," both films from Studio Ghibli.